Green carton cabbage being exported out of Quebec and into the U.S. will end its season slightly earlier than usual. “It will be over at the end of February, mid-March. Usually we finish later in March,” says Pierre Gallant of EagleXport based in St. Remi, Que. “But because of the weather in the summer, there’s less this year.” Notably, Quebec experienced rain at both planting and harvest of cabbage making for a difficult season. Bagged cabbage for coleslaw is following a similar pattern to carton cabbage and is also running a shorter season. It will finish up likely between the middle to end of March rather than in May. 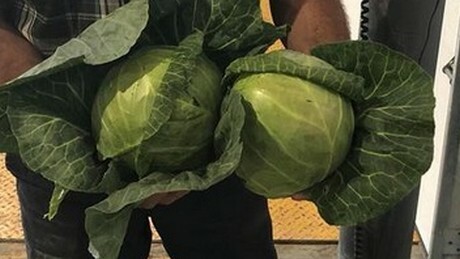 “Overall, the volume was down between 15-20 percent,” says Gallant, who notes EagleXport distributes cabbage along the East Coast until Florida. And while demand for cabbage looked similar to last year, it put more pressure on supplies given there was less product available, particularly in December over the holiday season. That said, the markets are quieter right now. “So we had to go down a bit on price and the farmers did too,” says Gallant.